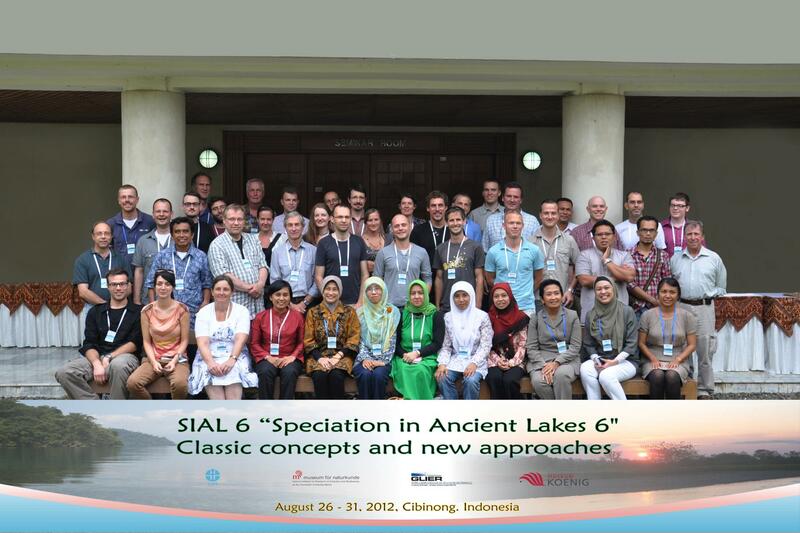 The latest SIAL conference entitled "Speciation in Ancient Lakes: Classic concepts and new approaches" took place in Bogor, Indonesia. Participants of the SIAL 6 conference at the Cibinong Science Center, Bogor, Indonesia, August 2012.
von Rintelen, T., Stelbrink, B., Wowor, D. & Heryanto. (eds. ), 2012: Abstracts of the International Symposium Speciation in Ancient Lakes 6, SIAL 6, Bogor, August 26-30, 2012. 45pp.